A Water Level Controller is a crucial instrument that needs to give accurate results at all times. Realizing this need, we offer high-end Water Level Controllers that are made using premium quality components procured from renowned vendors in the industry. Manufactured using the support of CAD and CAM, our Water Level Controller promises to perform consistently for a long time. Why our Water Level Controller? 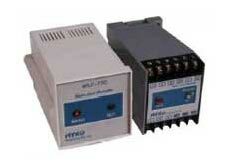 1 NO/C/NC Relay contract rated 230V/5 Amp.